FS2002 FS2004 Boulton Paul P100. This was an unbuilt project for a ground-attack aircraft to a draft Air Ministry specification (unnumbered) of March 1942. The P100 was the most advanced and unorthodox of the many designs the aircraft industry responded with. It had a canard pusher layout to give the pilot the best possible view and would have had an armament of 40mm and 20mm cannons along with bombs and rockets. Two kinds of models (Clean with Missile) are included. by Kazunori Ito. 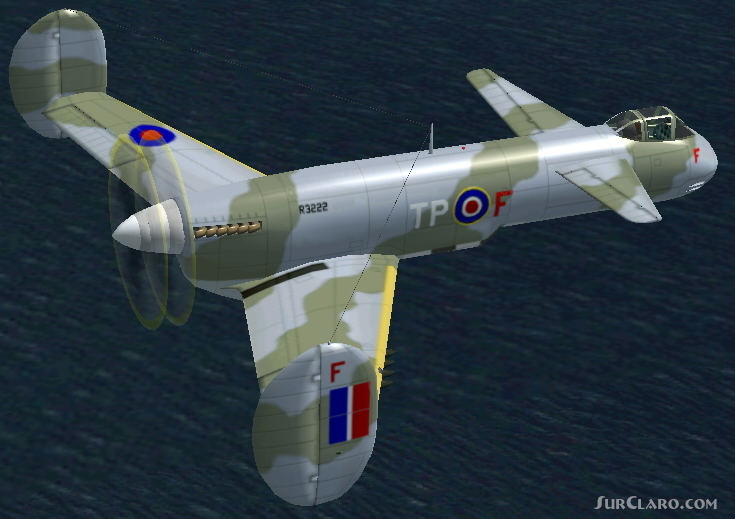 FS2002 FS2004 Boulton Paul P100. Rating: 10.00 of 10 over a total of 1 reviews.